We are familiar with the 3 R’s of education (reading, ‘righting, and ‘rithmetic). We remember them because they are purposely mispronounced and misspelled, which makes the saying ironically humorous. There are at least 3 R’s of the Gospel (redemption, reconciliation, and regeneration). Those sound like high-fluent words to us country folks. They are difficult to remember and they are hard to pronounce. However, they are in the Bible. We need to understand them and be able to explain these important concepts to others, even if we use simpler words to define the same thing. Let’s begin with redemption. Notice the noun “sin” is singular. What is sin? Simply, it is my claim of independence—my right to myself as lord of my life. “I will live my life my way. I want that. I deserve this.” This self-centered nature of sin causes me to do sinful acts. The Bible does not say that God punished the human race for one man’s sin, but that sin, namely, my claim to my right to myself, and its consequence, death, entered into the human race through one man, Adam. We inherited the nature of sin. But it also says that another Man, Jesus, took upon Himself the sin of the human race and atoned for it on the cross. The penalty for sin is paid. Those who give up their right to themselves by faith in Jesus Christ have been redeemed—purchased—with the blood of Jesus Christ, and inherit eternal life instead of eternal death. That is redemption! Hebrews 9:24-28 For Christ has entered, not into holy places made with hands, which are copies of the true things, but into heaven itself, now to appear in the presence of God on our behalf. Nor was it to offer himself repeatedly, as the high priest enters the holy places every year with blood not his own, for then he would have had to suffer repeatedly since the foundation of the world. But as it is, he has appeared once for all at the end of the ages to put away sin by the sacrifice of himself. And just as it is appointed for man to die once, and after that comes judgment, so Christ, having been offered once to bear the sins of many, will appear a second time, not to deal with sin but to save those who are eagerly waiting for him. The nature of sin is not immorality and wrongdoing, but the nature of self-consciousness which leads us to say, “I am my own god.” This nature may exhibit itself in proper morality or in improper immorality, but it always has a common basis—my claim to my right to myself. When our Lord faced either people with all the forces of evil in them, or people who were clean-living, moral, and upright, He paid no attention to the immorality of one, nor any attention to the moral attainment of the other. He looked at something we do not see, namely, the nature of sin that is in man. John 2:23-25 Now when he was in Jerusalem at the Passover Feast, many believed in his name when they saw the signs that he was doing. But Jesus on his part did not entrust himself to them, because he knew all people and needed no one to bear witness about man, for he himself knew what was in man. Sin—that selfish, independent nature—is something we inherited and cannot touch. Only God touches sin through redemption on the Cross, where the Son of God redeemed us from death and damnation, which are the consequences of sin. Therefore, God does not hold us responsible for having the heredity of sin, and does not condemn anyone who believes in His Son. Condemnation comes when we realize that Jesus Christ came to redeem us from the heredity of sin, and we refuse to let Him do so! John 3:17-19 For God did not send His Son into the world to condemn the world, but that the world through Him might be saved. He who believes in Him is not condemned; but he who does not believe is condemned already, because he has not believed in the name of the only begotten Son of God. And this is the condemnation, that the light has come into the world, and men loved darkness rather than light, because their deeds were evil. Because of the redemptive work of Jesus on the cross, now anyone can experience the second “R” of the Gospel, reconciliation; that is, being brought into a right relationship with God. God has reconciled Himself to man on the basis of Jesus’ redemptive work on the cross, but it takes both parties to agree before there can be a reconciliation. Therefore, reconciliation involves man’s response to the redemptive work of Jesus. It is our choice to be reconciled to God. All we have to do is believe and come to Jesus, confessing our sin and surrendering our lives to Him. So, what is preventing you from coming to the end of “Me” and giving all your life to Jesus? The Holy Spirit will search out that one immovable stronghold within you, which is usually pride, but He will not budge it unless you are willing to let Him do so. The Holy Spirit will show you what you have to do, and you will never get any further until you are willing to do that very thing. Your Father in heaven is waiting to be reconciled to you. Coming to Jesus is the Way of reconciliation. Through faith in Jesus Christ and His atonement on the cross for our sin, we are redeemed and set free from the condemnation our sin brings upon us through the law. Instead of a death sentence, we are reconciled to God and given eternal life through faith in Jesus. 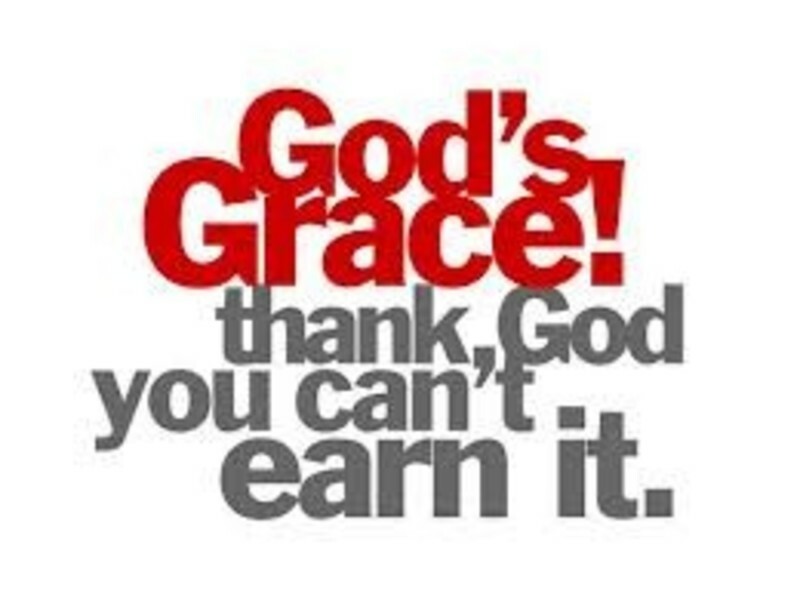 So, it is by God’s grace we are saved through faith in Jesus Christ, not our works. This grace and faith causes us to repent and give our lives to Jesus by obeying Him in baptism. Then we are reconciled to God and we experience the third “R” of the Gospel. We are regenerated—we are born again of the Spirit and become a new creation. Our lives are continually transformed as we walk by the Spirit and obey Him. As we continue to die to self and be filled with the Holy Spirit, we exhibit the fruit of the Spirit, which is character of Jesus Christ. 2 Corinthians 3:17-18 Now the Lord is the Spirit, and where the Spirit of the Lord is, there is freedom. And we all, with unveiled face, beholding the glory of the Lord, are being transformed into the same image from one degree of glory to another. For this comes from the Lord who is the Spirit. Regeneration is also the work of God, not man. I have a heredity of sin in which I had no say or decision. I am not holy, nor am I likely to be. And if all Jesus can do is tell me that I must be holy, His teaching only causes me to despair. But if Jesus is truly a regenerator, someone who can put His own heredity of holiness—the Holy Spirit—into me, then I can begin to see what He means when He says that I have to be holy. I have to let Him live in me by the Holy Spirit. Regeneration means that Jesus Christ can put into anyone the nature that was in Himself, and all the standards He gives us are based on that nature. His teaching is meant to be applied to the life which He puts within us, the Holy Spirit. The proper action on our part is simply to agree with God’s verdict on sin as judged on the Cross of Christ and let Him be Lord of our life instead of being our own lord. We make this decision by being put to death through baptism and being born again of the Holy Spirit. We walk out this regeneration by obeying the Spirit and not our flesh, every moment of the day. The miracle of regeneration is that God puts a new nature into us through which we live a totally new life. When we finally reach the end of “Me”, Jesus says, Matthew 5:3 “Blessed are the poor in spirit, for theirs is the kingdom of heaven. But we must get to that point. God cannot put into us the nature that was in Jesus Christ unless we are aware of our need for it. Just as the nature of sin entered into the human race through one man, the nature of God, the Holy Spirit, enters us through another Man, Jesus Christ. Romans 5:18-19 Therefore, as one trespass led to condemnation for all men, so one act of righteousness leads to justification and life for all men. For as by the one man’s disobedience the many were made sinners, so by the one man’s obedience the many will be made righteous. Sin is a wrong relationship—it is deliberate and determined independence from God. Jesus had a right relationship with the Father. He came and only did what the Father was doing and only said what the Father was saying. They were one. Therefore, Jesus did not sin. Jesus took on Himself the heredity of sin that no man can touch. He deliberately took on His own body the complete, cumulative sin of the human race. God made His own Son “to be sin” that He might freely make the sinner righteous through faith in His Son. You may be thinking, I’m not righteous. How is this true? Our righteousness comes from Jesus Christ abiding in us. Again, here’s what these 3 R’s of the Gospel tell us. I am a sinner and I have a death sentence. I cannot save and sanctify myself; I cannot make atonement for sin; I cannot redeem myself; I cannot right what is wrong, purify what is impure, or make holy what is unholy. That is all the sovereign work of God. It is finished by Jesus on the cross. He made the perfect atonement for sin and redeemed us by His blood. By believing in Jesus and His redemption, I repent of being my own god, I am baptized, my sin is forgiven, and I am made righteous. Now I am reconciled to God and have a right relationship with Him. At the same time, I am regenerated—given a new life, born of the Holy Spirit. As I walk by His Spirit, He continually transforms me into the image of Christ, who is righteous, so that in him we might become the righteousness of God. The redemption of Christ is not an experience, it is the great act of God which He has performed through Christ, and I have to build my faith on it, not my worthiness. If I base my faith on my own experience, I produce an unscriptural kind of life with my eyes focused solely on my own holiness, or lack of it. I cannot do anything to be righteous unless I deliberately abide in Jesus Christ and He abides in me. The truth is: Even now, there is no good in me except the Lord Jesus Christ, who is present in believers by the Holy Spirit. He is all I need to be righteous. Every time I obey the Holy Spirit, the grace and power of God cause me to do good things. I am God’s workmanship. He is transforming me. However, if I turn away from obedience to the Holy Spirit for even one second, darkness and death are immediately at work again because I have begun to be independent and acting as my own god again. This calls for continual repentance and death to self so that Christ only lives through me. Our life’s goal and vision are stated in Galatians 2:20 I have been crucified with Christ. It is no longer I who live, but Christ who lives in me. And the life I now live in the flesh I live by faith in the Son of God, who loved me and gave himself for me. Having looked at 3 R’s of the Gospel: redemption, reconciliation, and regeneration, I hope this helps you understand and able to share the Gospel. It is probably accurate to say, none of us understands the profundity of these “R’s” completely. We don’t have to. Christianity is simply a relationship—that’s another “R”—an intimate relationship with our heavenly Father through faith in Jesus Christ, and the presence of the Holy Spirit. All of God’s truths are difficult to understand until they are revealed to us by the Holy Spirit through obedience. We will never understand them through philosophy or logic. But once we obey out of love for Jesus, a flash of revelation (another “R”) comes to us immediately. If we obey God in the first thing He shows us, then He instantly opens up another truth to us. Even the smallest bit of obedience reveals the deepest truths of God. Yet God will not reveal more truth about Himself to us, until we have obeyed what we know already. Let God’s truth be revealed in you by developing an intimate relationship with Jesus. “Come unto me,” Jesus said. The only way you can get to know the truth of God is to stop trying to figure it out and obey Jesus’ call to “Come”. Repent of your sin of independence and being your own god. Be reconciled to God by dying to yourself and being born again by the Holy Spirit through baptism. After that, everything else will be revealed to you by the Holy Spirit in His timing.